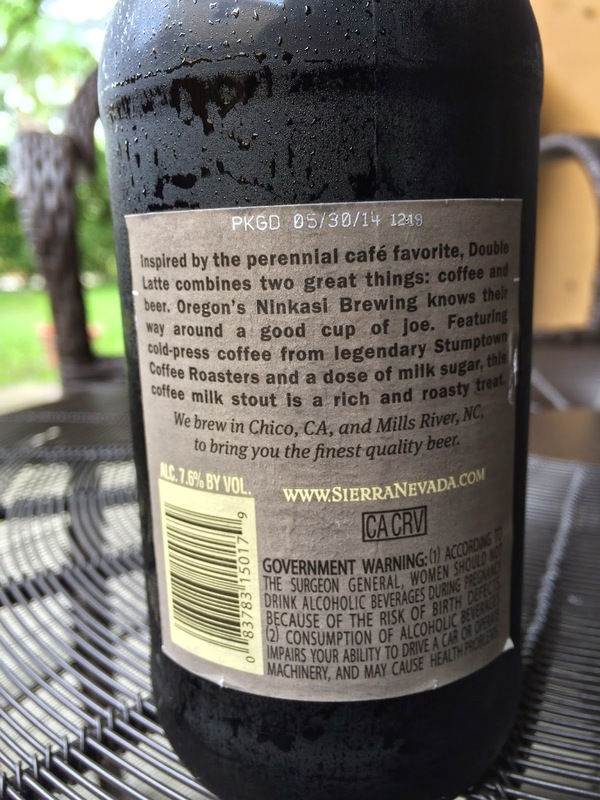 I'm checking out Beer #12 in Sierra Nevada's Beer Camp Across America series this year. For me, that is their collaboration with Oregon's Ninkasi Brewing: Double Latte. This beer is a coffee milk stout brewed with lactose. The story on the back sets your expectations and lets you know the coffee comes from Stumptown Coffee Roasters. 7.6% alcohol. 60 IBUs. Packaged 05/30/14. Sugary sweet mocha and rich chocolate aroma with a big dose of coffee. Yum! The flavors are much less sweet, though there is certainly a creamy sugary background throughout. Rather, plenty of roasted coffee bitterness is the featured attraction. You may taste hints of smoke and a little chocolate, but coffee is the star. A good dose of alcohol hits at the finish as well. Full flavored and coats the palate very nicely. 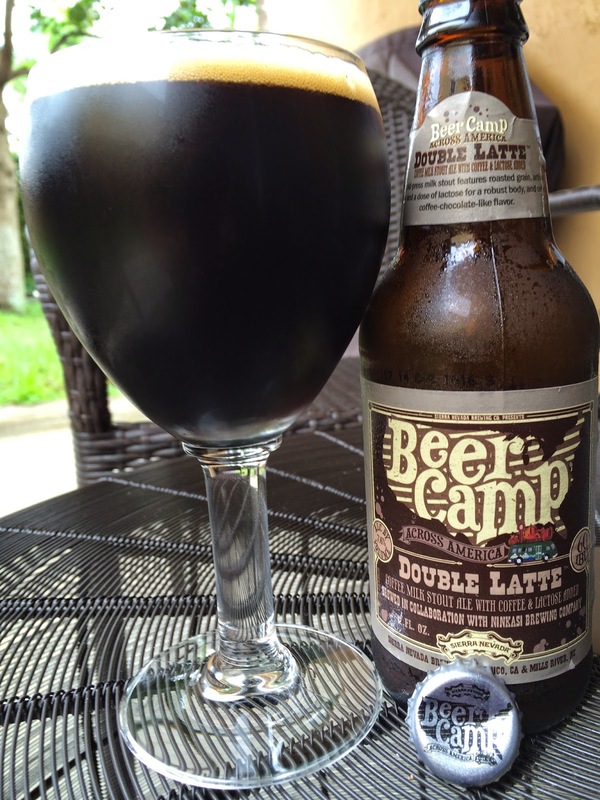 I personally would have rather seen less coffee bitterness and more chocolate sweetness, yet this was still the best beer of this year's Beer Camp series!